A very elegant and well moulded circular spiral shanked Slops Bowl, decorated with blue and gilt decoration including the 'Bluebell' flower motif. 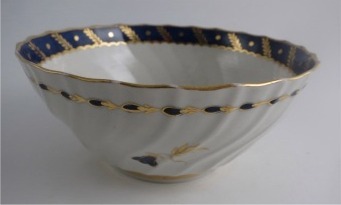 This beautiful bowl was made at the famous Worcester factory c1795. 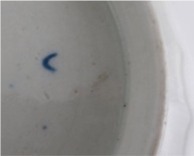 It is marked with the open blue crescent mark of the Worcester factory. The bowl is moulded with 'shanked' (or spiral) lines which was the latest design in fashion at the later period of the eighteenth century. These moulded lines are very finely potted and create a most decorative effect. Evenly spaced around the body of the bowl are three blue and gilt 'Bluebell' flowers. A rich underglaze Cobalt blue border runs around the inner rim of the bowl, This is decorated with gilt leaves and dots and bounded by a gilded scalloped line and rim. 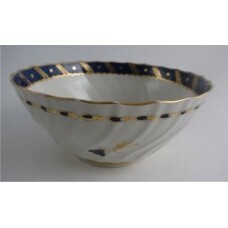 There is also a circle of blue and gilt decoration running around the outside of the bowl just below the rim. 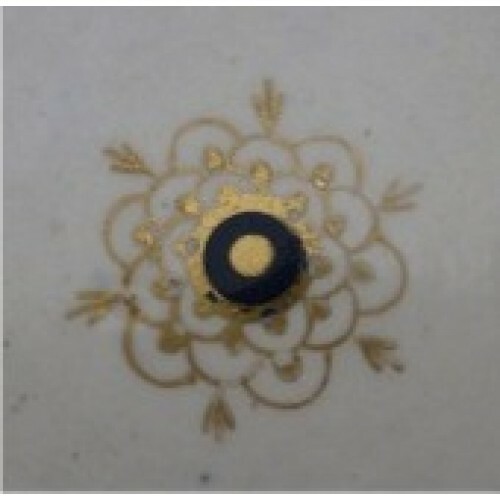 Inside the base of the bowl is a geometrically gilded blue circle, this gilding is remarkably fine. 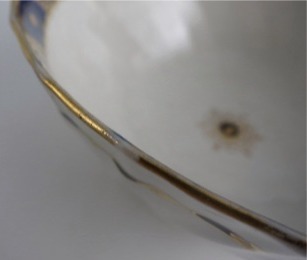 The underside of the bowl is marked with the Worcester open crescent mark and dates from c1795. 6" (152mm) max. diameter of the bowl. 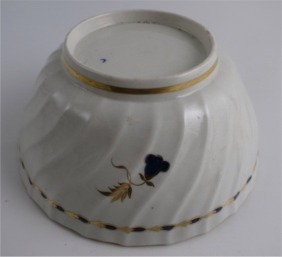 2½" (70mm) height of the bowl. 8½oz (239gms) weight of the bowl. 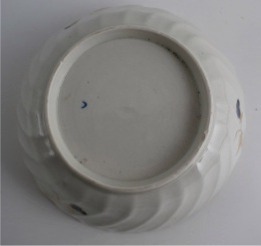 The underside of the bowl is marked with the open blue Worcester crescent mark. 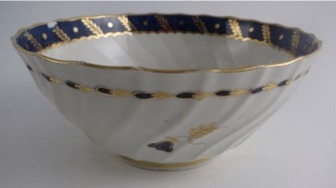 The bowl dates from c1795. 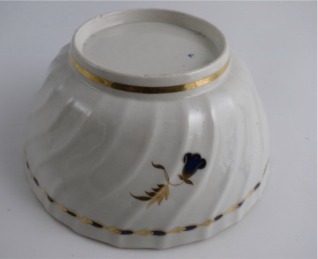 This delightful Worcester slops bowl is generally in good condition with cracks, repairs or restoration. The only imperfections are one shallow flake chip on the inner rim of the bowl approx. 10mm x 5mm and a little wear to the gilded rim of the bowl. 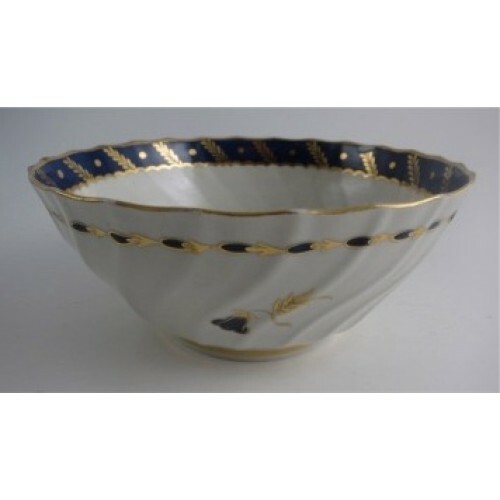 Description A very elegant and well moulded circular spiral shanked Slops Bowl, decorated with blue and gilt decoration including the 'Bluebell' flower motif. 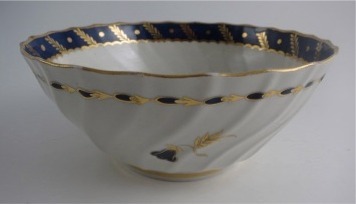 This beautiful bowl was made at the famous Worcester factory c1795. 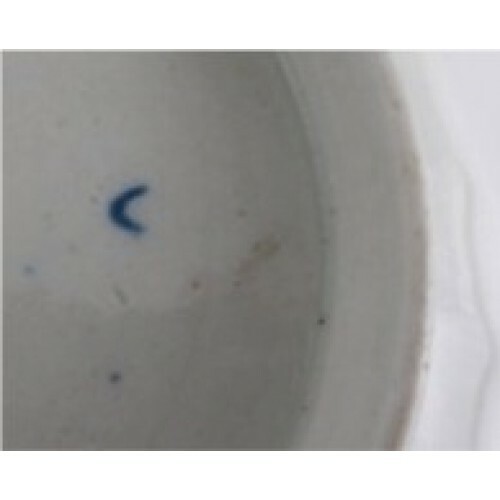 It is marked with the open blue crescent mark of the Worcester factory. The bowl is moulded with 'shanked' (or spiral) lines which was the latest design in fashion at the later period of the eighteenth century. These moulded lines are very finely potted and create a most decorative effect. Evenly spaced around the body of the bowl are three blue and gilt 'Bluebell' flowers. Condition (See main description for full details and pictures) This delightful Worcester slops bowl is generally in good condition with cracks, repairs or restoration. The only imperfections are one shallow flake chip on the inner rim of the bowl approx. 10mm x 5mm and a little wear to the gilded rim of the bowl.